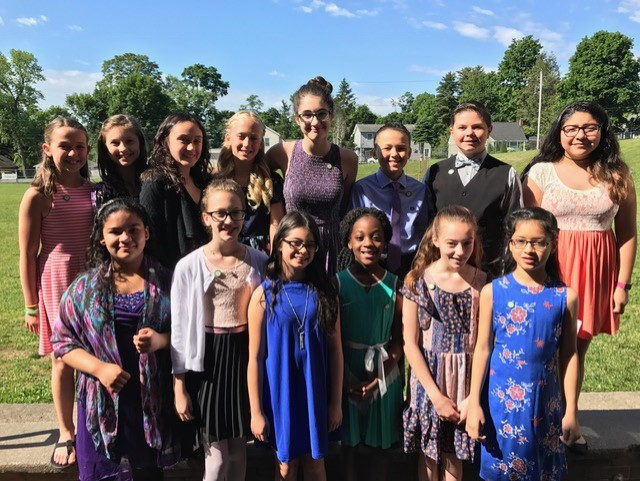 On Friday, June 2, 2017, New Windsor School continued its longstanding tradition of inducting students into the Clintonian Society, as well as awarding the Sands Medal. The Clintonian Society was named in honor of the Clinton family of New Windsor, which dates back to the Revolutionary War era. 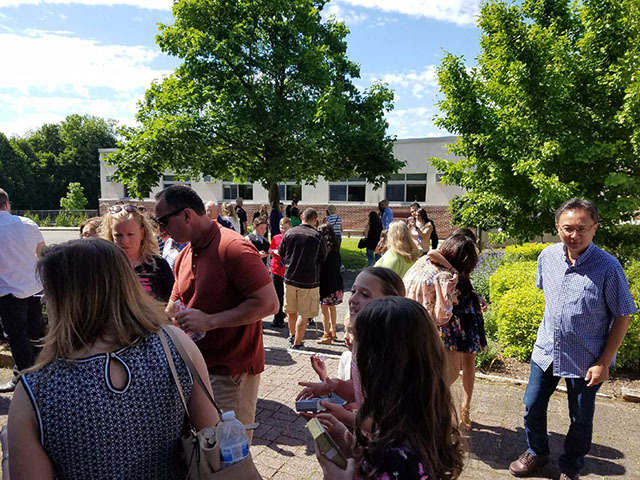 The purpose of the society has always been to inspire an enthusiasm for lifelong learning while also promoting the ideals of Scholarship, Service, Leadership, Character, and Citizenship within school and throughout students’ lives. 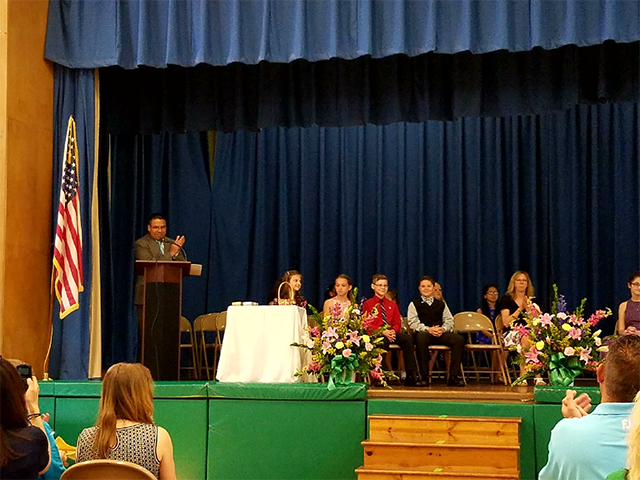 Students from grades 4 and 5 who are in excellent academic standing and have been exemplars as to the society’s ideals are eligible for induction. 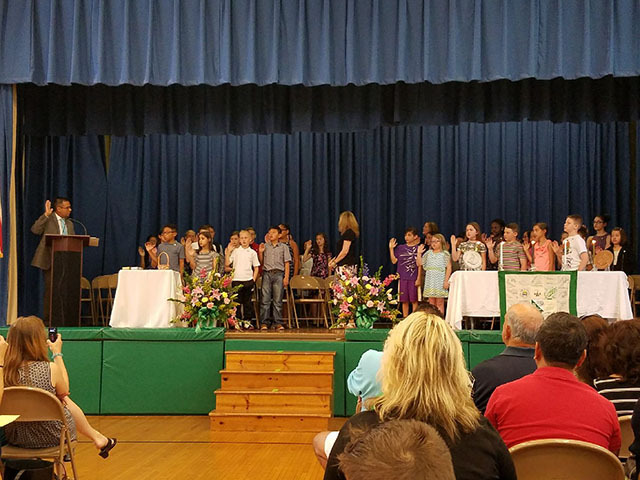 They participate in a formal ceremony carried out by current Clintonian members during which they recite the pledge in promise to uphold the ideals of the society. 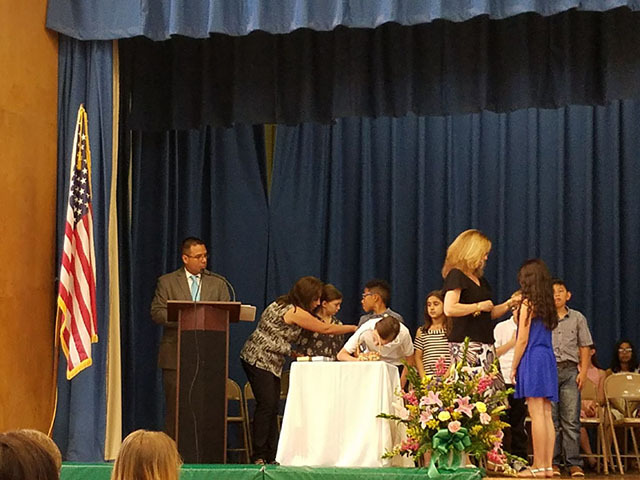 This year we were honored to induct 19 students. The Sands Medal awards were created by Abraham Sands in memory of his father Nathaniel more than 150 years ago. Each medal shows the likeness of Nathaniel Sands on one side and the student’s name engraved on the other with the motto “Perseverentia Omnia Vincit” which means “Perseverance Conquers All.” Since its inception, the award has been given in recognition of those students found to be the most deserving in scholarship and behavior. 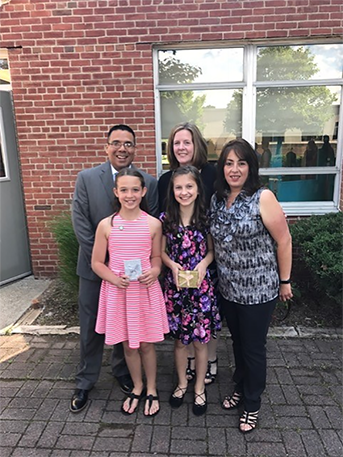 This year, the Silver award was presented to Stephanie Daly and the Bronze medal was presented to Chiara Graziano. 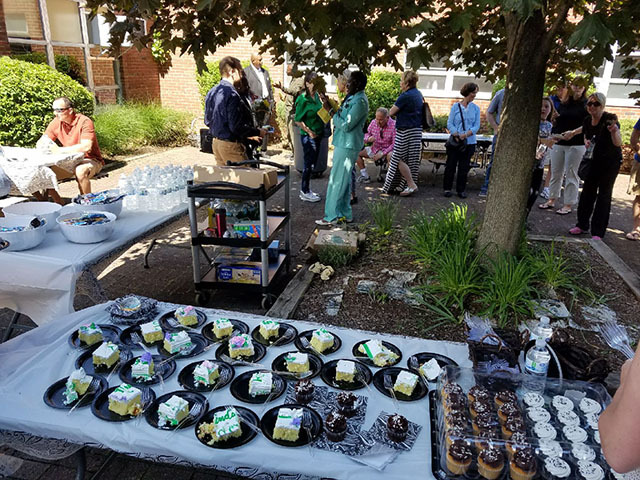 At the conclusion of the ceremony, a small reception was held in our courtyard so that family and friends could offer congratulations and celebrate with our newest Clintonian members. 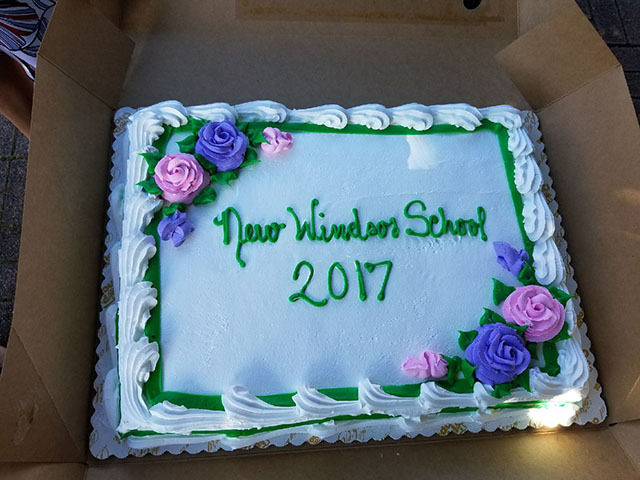 New Windsor School - A Tradition of Academic Excellence!